Step 2 - In the "Domains" interface, click on "Add/remove domains". 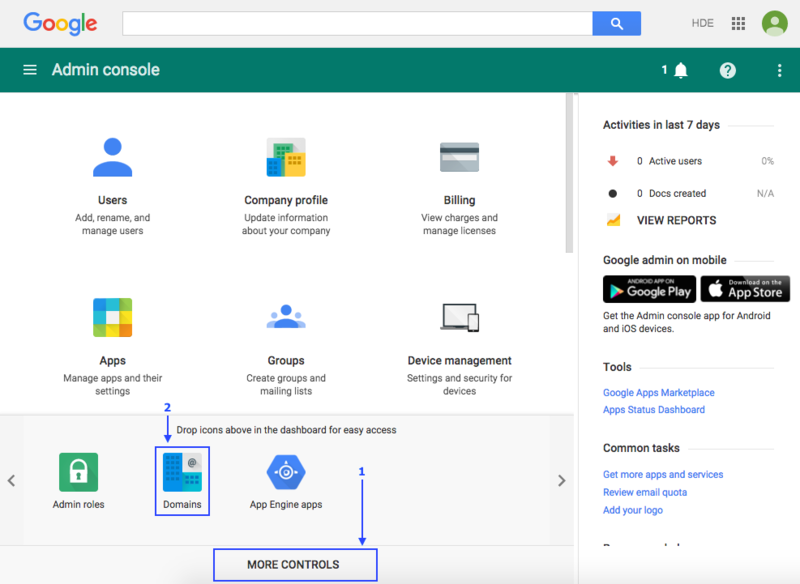 After getting the Domain information of your G Suite tenant, we will begin to build the HENNGE One tenant environment for you. There is a list of important information that is necessary to be communicated to the end users before your G Suite environment be installed with HENNGE One.